← “Anna Ekström” – målvakt i ett Hasbara-projekt i Sverige? ‘Anna Ekström’ – goalkeeper for a Hasbara project in Sweden? 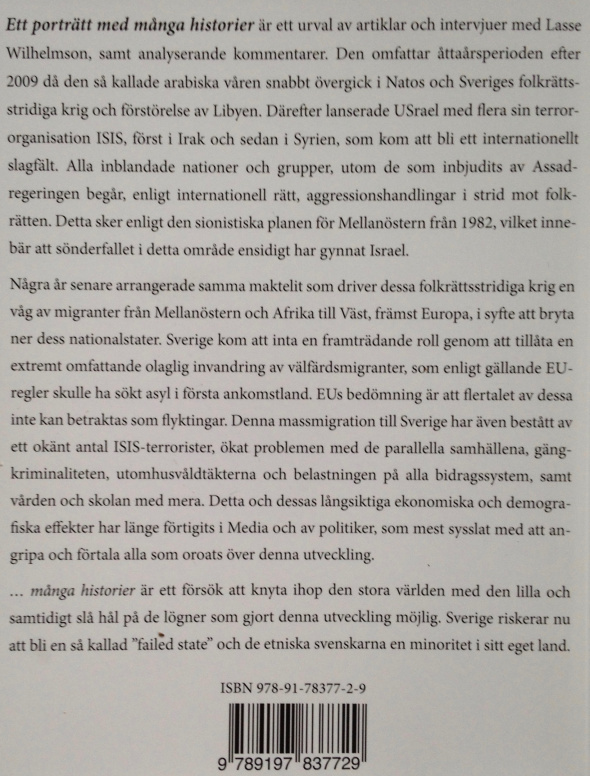 Posted on 24 maj 2012 | Kommentarer inaktiverade för ‘Anna Ekström’ – goalkeeper for a Hasbara project in Sweden? There has recently been a debate concerning the Zionist writer ”Anna Ekström” who appears to possess an unlimited talent for producing articles and getting them published all over the Swedish media. The debate was triggered off by former consul Ingmar Karlsson and member of The Swedish Writers´Union. 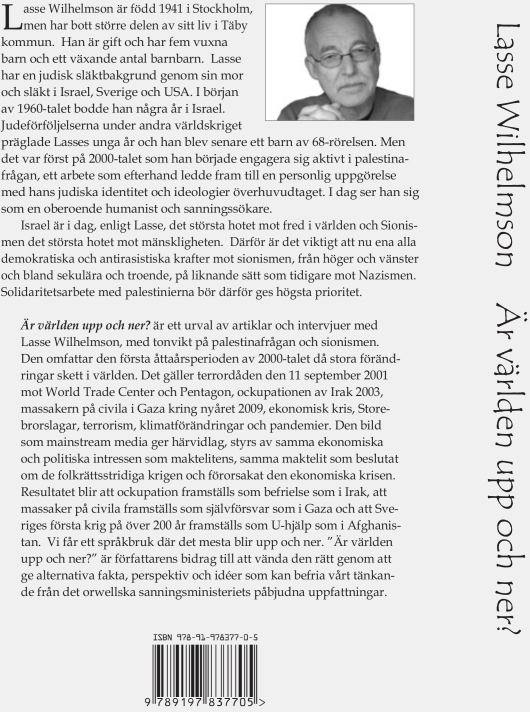 He questioned ”Anna Ekström’s” anonymous slanderous campaign against him and his recently published book The Bride is Beautiful but Already has a Husband : Zionism – An Ideology that has Run its Course?, Wahlstrom and Widstrand, 2012. Karlsson drew attention to one of the Swedish cultural elite’s Zionist whips,Torbjörn Elensky, his successor on the board of The Writers’Union, because of Elensky’s defence of ‘Anna Ekström’s’ slanderous campaign. This led to Karlsson being re-elected by a large majority, much to Elensky’s annoyance. The matter was also commented on anonymously by the TV channel Axess. There has of course been speculation as to whether ”Anna Ekström” is, in fact, Torbjörn Elensky, something he denies energetically, but also about who ”Anna Ekström” really is. The outcome of all these entanglements within the cultural elite remains to be seen, but one thing is clear: The growing opposition against the dominance of Israel huggers, and the self-censorship that journalists with professional integrity have been forced by old media and the Jewish lobby’s smear campaigns to maintain, in order to keep their jobs, has run its course. Let us therefore take a look at the ”Anna Ekström” phenomenon. There is something decidedly odd here. 1. ”Anna Ekström” has produced so many articles in such different styles, that it cannot possibly be only one person. 2. The articles are extremely Israel-friendly and include slander that is typical of Jewish writers and their petty despots – in the true spirit of Zionism. 3. The fact that old media has for so long been so generous and, seemingly, uninhibited in publishing ”Anna Ekström”, is confirmation that her articles correspond entirely with the interests of old media and its moguls. 4. There is currently panic among the Israel huggers of the cultural elite, and damage control is the order of the day, i.e. try to minimise the negative effects of ”Anna Ekström”. 5. Around the world, there are thousands of Sayanim and by Israel/Mossad funded propagandists whose activities have escalated considerably because even Israel-friendly states and supranational bodies are becoming seriously anxious about Israel’s policies. This was recently emphasised in a statement by foreign ministers of EU countries, including Carl Bildt of Sweden. 6. ”Anna Ekström” and her promoters say that she is a real person and that she has a right to remain anonymous. Be that as it may, the fact remains that while this goes on ”Anna Ekström” cannot be held responsible for her writings, and speculation as to who/what ”Anna Ekström” actually is, will continue to damage her message. ”Anna Ekström” certainly might have written some of it herself – if she exists – but hardly all of it. Which means that there is a number of people who check facts and edit the articles that are published in her name but written by people who for political reasons do not wish to be known. Very likely, Torbjörn Elensky has several fingers in this pie, together with Lisa Abramowicz, Secretary-General of Swedish Israel Information Center, Lena Posner-Körösi, Director of The Official Council of Swedish Jewish Communities and many others. There is reason to believe that ‘Anna Ekström’ is political goalkeeper for a collective Hasbara project and that her progression emphasises the predominant owner interests within old media.